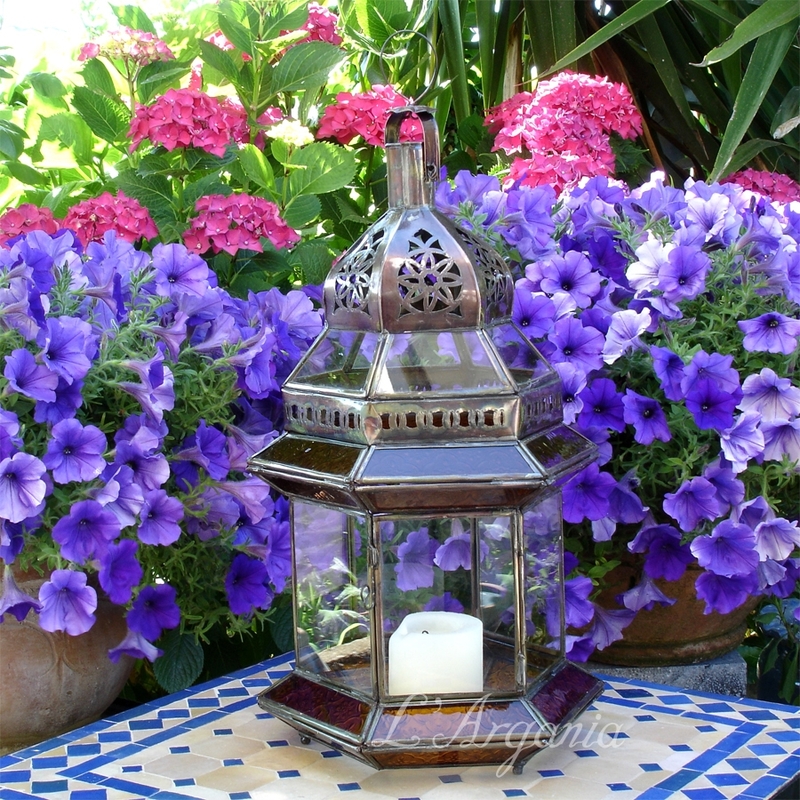 This lantern will give wonderful amber warm light and beautiful patterns on the wall. It is hand made in Morocco, with clear and amber glass. The metal is galvanized with copper.